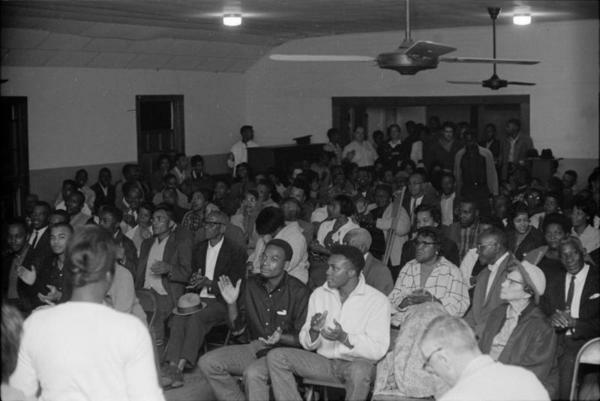 Description: Aaron Henry for Governor rally, October 29, 1963. COFO's Freedom Vote campaign event held in upper room of Masonic Temple, 522 Mobile Street, Hattiesburg (Miss. ).